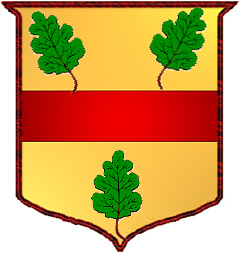 Coat of Arms: A gold shield with a red fess between three oak leaves. 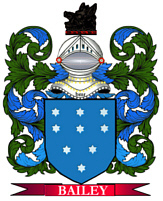 "The Allan surname was first brought to England in the wave of migration following the Norman Conquest of 1066. It is a patronymic surname derived from the given name Alan, which is thought to mean "little rock" or "headstone." The name was popular among the Breton followers of William the Conqueror due to St. Alan, a 5th-century bishop from Quimper, Brittany; during the Middle Ages, parents often named their children after saints in the hope that the child would be blessed or protected by the saint. Spelling variations include: Alan, Allan, Allen, Alleyn, Allayne, Allaine, Allain, Allanach, Allanshaw, MacAllan and many more. First found in the lands of Shropshire, where Walter FitzAlan of Brittany was seated after the Norman Conquest of 1066. Some of the first settlers of this name or some of its variants were: John Allan, who settled in Virginia in 1622; Anne Allen, who arrived in Boston in 1635; John Allan, who immigrated to Virginia in 1685; as did Alice Allen in 1689." 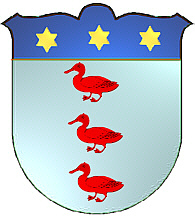 Coat of Arms: On a silver shield there are three red ducks, and three gold stars on a blue chief. Coat of Arms: A gold shield with a red fess between three oak leaves [see above]. 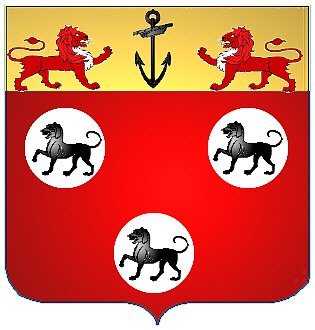 Coat of Arms: A red shield with three plates, each charged with a black talbot passant, and on a gold chief with a black anchor between two red lions passant counter-passant. 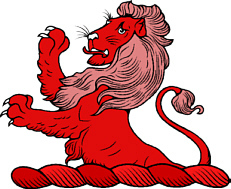 Crest: A red demi tiger rampant. While the majority of the bearers of Allen in Ireland are of English or Scottish origins, there were indigenous Irish bearers of allen, who derived their name from the Gaelic "O hAilin." Spelling variations include: MacEllin, Hallion, Alen, MacAilin, MacEllen and many more. Some of the first settlers of this name or some of its variants were: Chamless Allen, whose Oath of Allegiance was recorded in Pennsylvania in 1777; Agnes Allen, who arrived in New York, NY in 1816; Hannah Allen and Henry S. Allen, who arrived in Philadelphia in 1816.